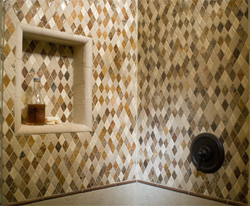 To this day, our mission has been to share the unsurpassed beauty of handcrafted tile. From initial design to finished product, we are passionate about making tile that transforms a home from ordinary to extraordinary. Our rich textures, hand carved designs and fabulous color palette offer limitless design options. Located in California’s Wine Country. We create an absolutely amazing range of handcrafted tiles - from timeless ceramic borders to decorative stone accents At Sonoma Tilemakers, it all starts with our passion, our incredible people, and a whole lot of clay and wine.